Aasonn Webinar Recording | Is your SAP SuccessFactors System GDPR Compliant? The General Data Protection Regulation (GDPR) is a regulation that requires businesses to protect the personal data and privacy of EU citizens for transactions that occur within EU member states. It’s set to apply across the 28-Member State bloc as of May 25, 2018. Not being compliant could cost you dearly. If you do business with customers in the European Union, the General Data Protection Regulation (GDPR) has significant impacts on your business, no matter the size. 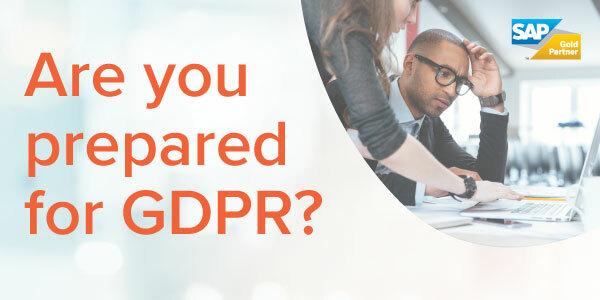 Are you prepared to pay for not having your SAP SuccessFactors GDPR ready? With penalties up to 4% of annual global revenue or €20 million (whichever is greater) at stake, you’ll want to be sure you are compliant! If you aren’t interested in being fined, are you taking the steps below to be compliant? Aasonn is here to help. Watch the webinar below to better understand how to meet your strategic objectives and understand necessary system configuration and enhancements to achieve GDPR compliance. Let us know what questions you have! Would you like to be notified about our upcoming webinars?